Take five minutes to read take f-i-v-e featuring 5 handmade artists! Say that really fast and see if you're still speaking english. . .
1. 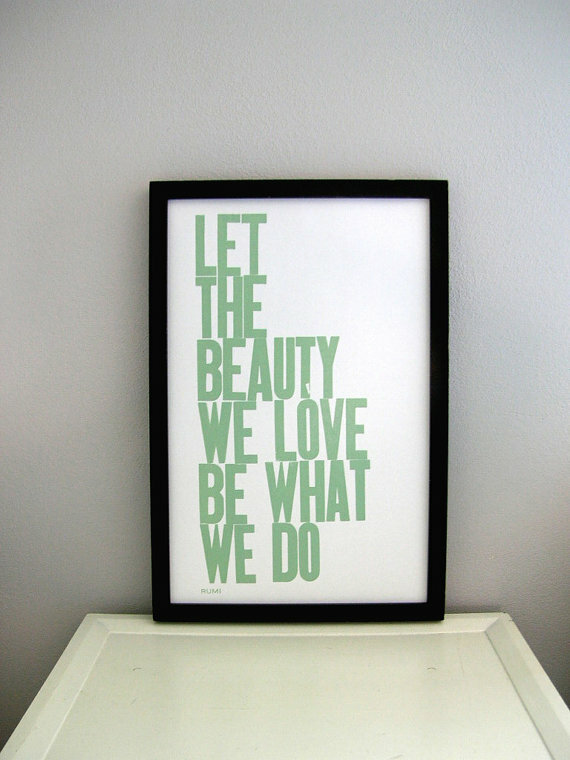 Letterpress Print - Let the beauty we love be what we do. So true! $20 - Found here! 2. Massive Pom Pom Hat in Dark Grey. $67 - Found here! 4. 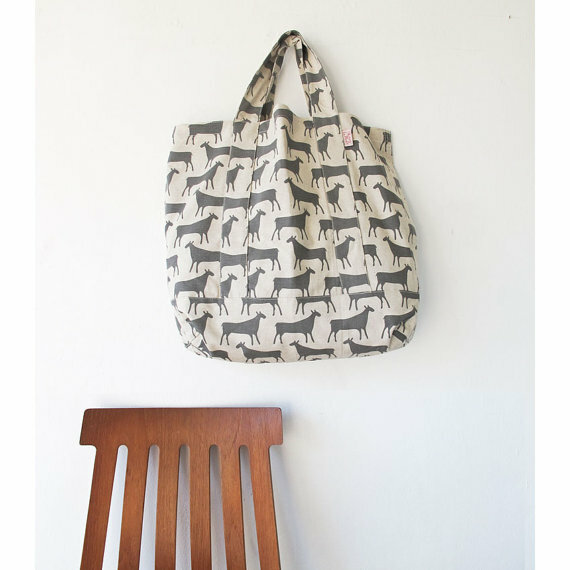 The Alexander Sack Herds in hide grey. 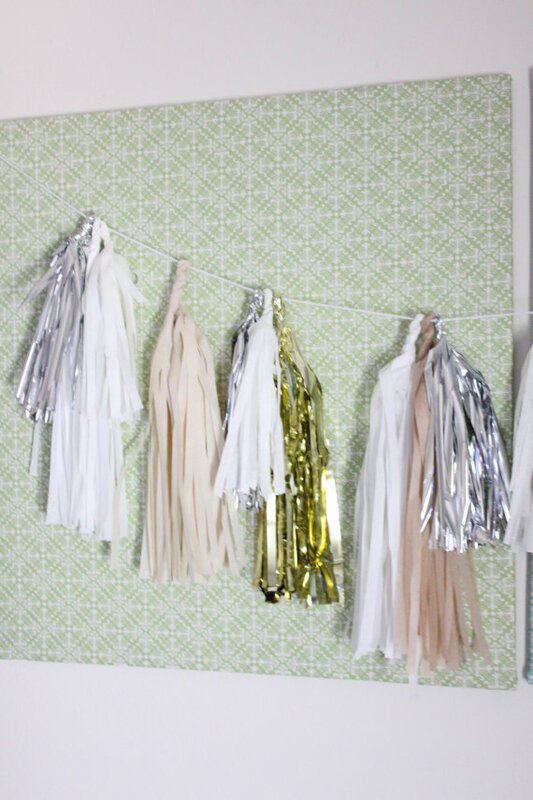 $45.40 - Found here! 5. 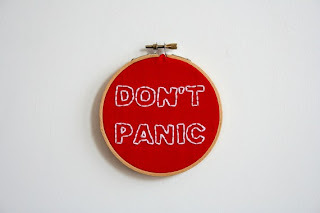 Hand Embroidered Hoop - Don't Panic! $24 - Found here! I love the sign SOOO much! YAY!